Segment 3 in the GL account is missing, and it is a dynamic segment? 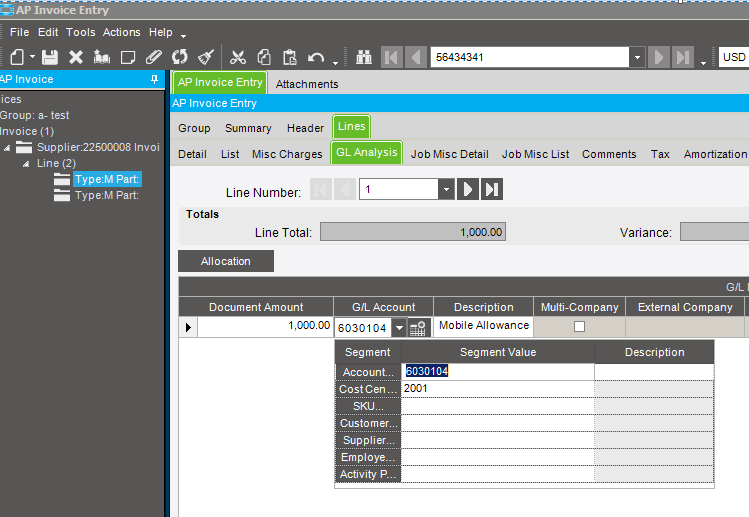 You can update the GL account in AP invoice line. Are both segments defined and are the combination a valid GL Account? you can check if the account is defined under Financial Management, General Ledger, Setup, General Ledger account. Please make sure to pick the correct Chart of accounts (in case you have multiple). As per your picture it seems you have typed the wrong account in the first segment so instead of typing i would rather click on Account, choose the account, then click on cost center, choose it and so on. If you do not find the proper combination here then go to previous step and define it.